Nowhere is the contrast between the progressive drive of Hungary’s creative class and the current government’s reactionary politics more visible than in the sprawling capital Budapest. The city is known as the Paris of the East for its art nouveau architecture and flâneur-friendly boulevards, though extreme budget cuts and rampant racism under Prime Minister Viktor Orban’s nationalist Fidesz party are rapidly degrading its potential as a creative hub in what many see as an only nominally united Europan Union. We met six protagonists from the city’s varied art, music and cultural scenes who remain cautiously optimistic about their individual futures amidst the collective crisis. This is the fifth of a six-part series. Read part four here and part six here. All photos by Rosalia Kullick. 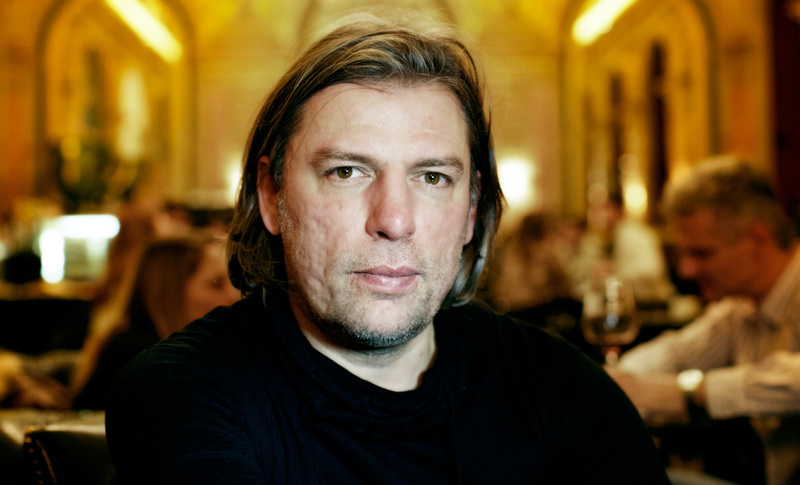 Gábor Szilágyi is a curator who has felt the financial strain of the current government’s funding policies, which have included pulling money from projects not considered representative enough of the Hungarian state and culture. Budapest’s cultural scene is facing a kind of exodus at the moment. Many creative people are leaving town to start again elsewhere, be it Berlin, Vienna or London. For most of us, the future in Hungary is extremely uncertain, but those who complain about the terrible past two years tend to forget that it wasn’t much better before. If you want to understand Hungary—and therefore Budapest—you have to realize that every government we’ve had since the fall of the Iron Curtain has been more corrupt than the next. They lacked democratic legitimation to say the least, and Hungary’s problems come from these upsetting continuities in its political culture; every government over the last two decades has played a role in the disastrous financial crisis the country is going through at the moment. Earlier today I was listening to a radio interview about the history of the Hungarian secret service before and after the fall of the Iron Curtain, how it’s still the same set of people who wield that specific power. In Hungary, ex-secret service members infiltrated the parties, the economy, and the cultural field too. Some of our artist heroes, it turned out, were police informants who wrote reports about other artists in the ’70s and ’80s. Those kind of problems poison society and it’s not finished yet; they leapt from communism to socialism to capitalism, but otherwise nothing has changed in 2013. Whenever money is being spent on changing the city or whenever laws are changed to restructure the country’s cultural scene from top to bottom, these same people are involved. As a curator I had to bury a lot of dreams and projects when the right wing Fidesz party came into power in 2010. They received a sensational 68 percent of the votes, which essentially means they can rule the country without opposition. Anybody involved in the arts is greatly affected because it means that the government ultimately decides what’s art and what’s not and cuts budgets accordingly. It’s unbelievable how much stress they put on the definition of Hungarian art. The last major project of mine that I had to shelve for this very reason was CoDA, the Budapest Architectural and Design Triennale, which had been in the planning stage. After a very good start and funding from the old government and the European Union, we suddenly faced rejection from the new authorities. The associated Scales exhibition would have dealt with the huge changes European cities went through after the big political shifts in 1956, 1968, 1989 and the EU extension in 2005—a broad and pertinent subject that can be examined from many different angles. Suddenly, all of this didn’t matter anymore.